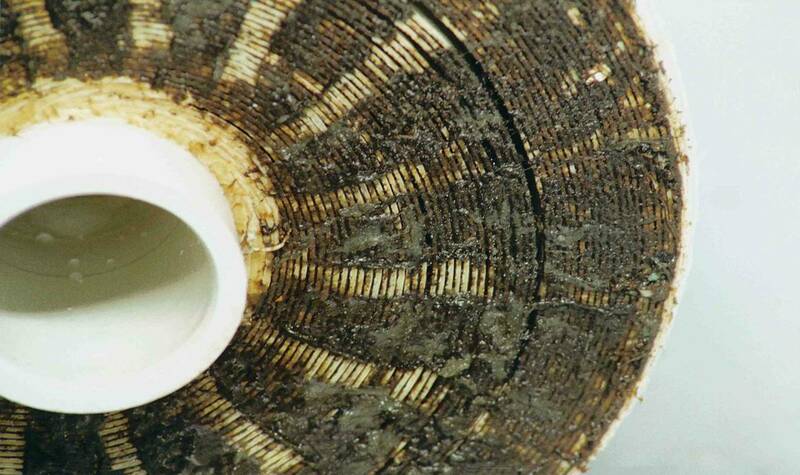 Membrane biofouling is defined as the adherence and growth of algae and bacteria on a membrane surface. The process of membrane biofouling will affect the performance of a membrane system negatively. First by the attachment and growth of microorganisms and algae on the feed spacer which will lead to an increased resistance over the feed channel. Second, by covering the membrane surface with a layer of biomass and blocking the feed water from the area where reversed osmosis or nanofiltration can take place. As consequence, more feed pressure (i.e more energy ) is needed for the same mass flow of produced water. In the first phase, the attachment of algae and the active free bacteria cells on the surfaces of the feed spacer and the membrane. The algae are just filtered off and will not grow, since there is no UV light available inside the pressure vessel. In the second phase, the attached and settled bacteria start to colonize the surface under supporting circumstances as an accommodating environment. Basically the bacteria needs an accommodating environment and nutrients to be able to grow. A temperature from 10 to 50 °C ( 50 to 125 °F) and the presence or absence of oxygen and a minimum threshold of phosphorous are elementary to enable growth. In the third phase, the active bacteria starts to grow on the nutrients in the feed water. The nutrients can be formed by many substances, mostly carbon sources which are easily digestible by the bacteria. These substances are measured in Assimilable Organic Carbon (AOC). In this phase start excreting a slimy substance called Extra Cellular Polysaccharides (EPS) that will cover the active bacteria colonies in a biomass. In the fourth phase, this biomass will grow to mushroom shaped biomass, with the small foot attached to the membrane surface and the cloudily upper part sticking out in the bulk water. In the final fifth stage a kind of steady state sets in with growth of bacterial colonies. The production of new biomass in the mushrooms and the detachment of biomass and bacteria by the flowing feed water followed by new attachment of the liberated bacteria on places further down the system. Since the adherence and settlement of free bacteria cells from the water phase onto a surface is a very quick step the process of membrane biofouling mostly occurs in the first elements of the installation. 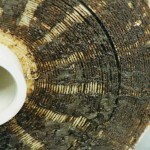 Many strategies are considered to prevent membrane biofouling. The first and most logical strategy is to avoid the bacteria and algae to attach on the surfaces of membrane and feed spacer. The MFS can be very helpful in these situations. The algae can be removed quite easily from the feed water. The bacteria can be killed by UV or with chemicals, however a 100% effectiveness is seldom achieved. The remaining survivors being responsible for a, maybe slower, process of membrane biofouling. A smart regime with regular dosing of a chemical with biocidal effect can be successful, but needs a study on the installation specific conditions and can be influenced by seasonal differences.